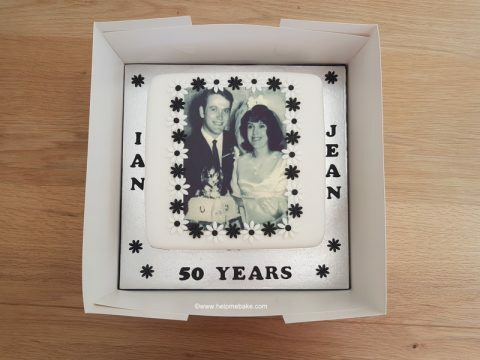 I recently made my in-laws a 50th Golden Anniversary Cake with no golden elements in sight! After much debate and spending a small fortune on gold decorations I decided that I would go old school in theme and actually bring back a wonderful memory for them…queue the wedding picture! In order to obtain the said wedding picture, I had my daughter request a few old photos from her grandparents for her school project and asked her to include their wedding picture so that their suspicions were not roused. Once I had the photo I set about looking online to see who could recreate the image onto edible paper. Easy you might think but actually not so, after looking on the net I found that not many people do rectangular images nor do they do them in the size that I wanted. Argh! You can get numerous 8-inch circular versions or A4 versions but not ones to fit an 8-inch square cake. 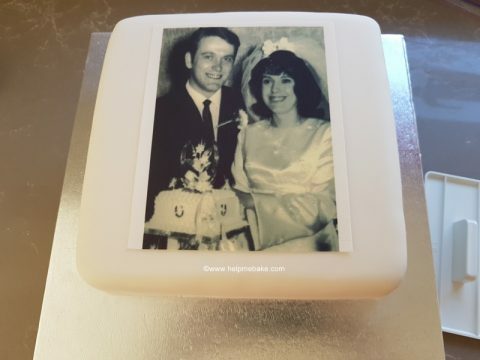 Anyway, to cut a long story short I then came across Photo On A Cake. Not only do they do the size I pretty much wanted (whoop, whoop) but their site was very easy to use too. 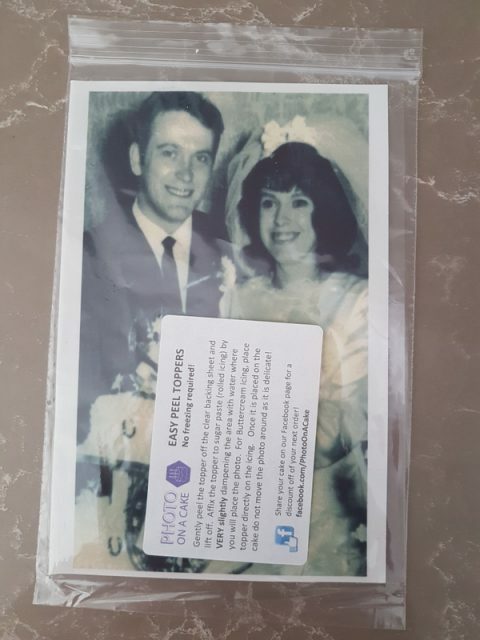 I could place my picture exactly where I wanted it (I needed to remove the wedding date from the top of the picture), add additional instructions to it if required and once processed it came pretty quick in a DO NOT BEND envelope. Once it arrived I set about making the cake. 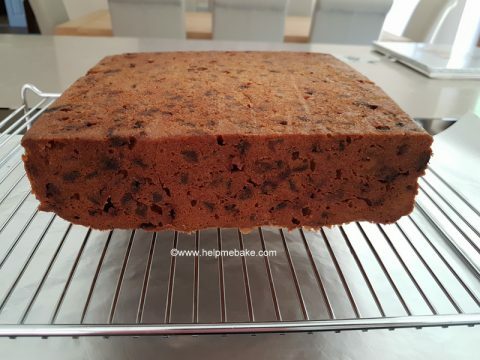 The mother in law loves my Fruit Cake so that was a no-brainer, although baking two fruit cakes, one tester and one for the actual heat in soaring temperatures in the kitchen was not my idea of fun! However, after baking the cakes for over 3 hours each I ended up with this beauty. 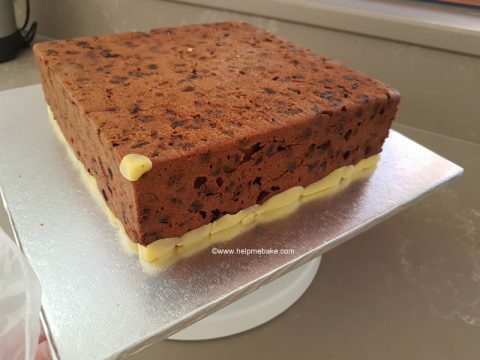 Once cooled, rather than levelling it, I flipped it over and filled in the spaces with pieces of marzipan so that I had straight edges to work with. 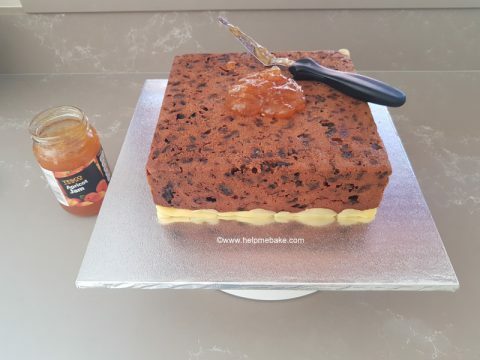 Once the cake was filled with the small pieces of marzipan, I then covered it in Apricot Jam. I used a tapered palette knife to spread it. 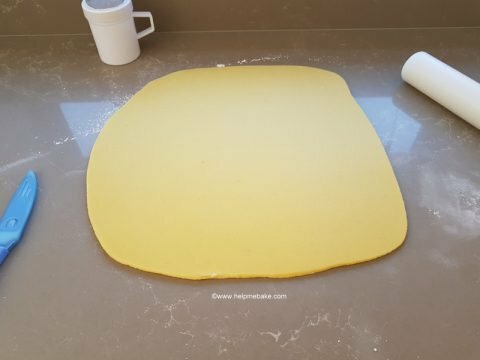 I then rolled out my marzipan ready for the first covering. This gives the cake a smoother finish for when you add the white icing to it. Once on I smoothed it out using a cake smoother. 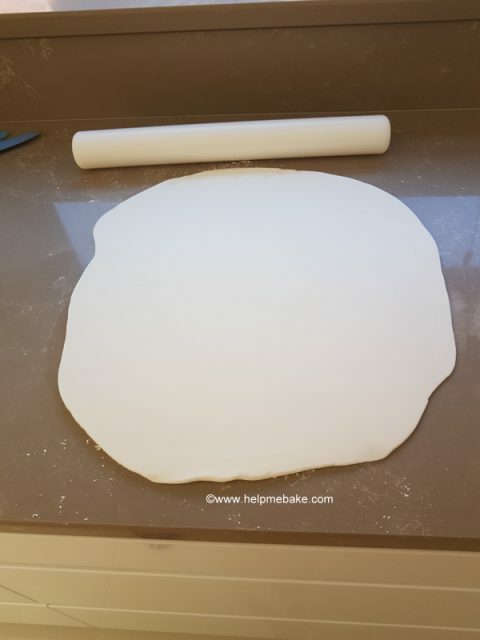 The covered cake was then placed to one side while I rolled out the white icing. 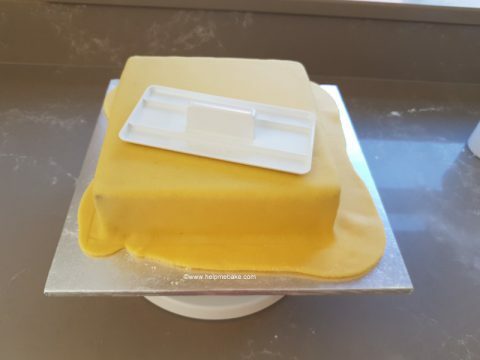 Before applying to the cake I lightly wet the marzipan with cooled boiled water to help the white icing stick to it. The white icing was then rolled on top of it. 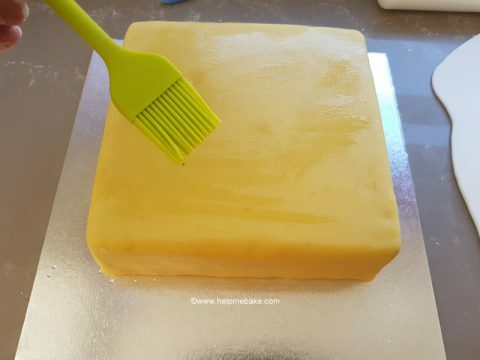 I then repeated the smoothing and cutting process so the cake was ready for decoration. 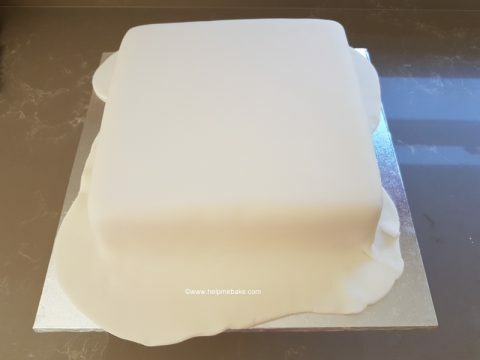 Once the cake was ready I removed the edible wedding picture from the plastic bag, cut it slightly so that it would fit the cake and the discarded the clear backing sheet as instructed. 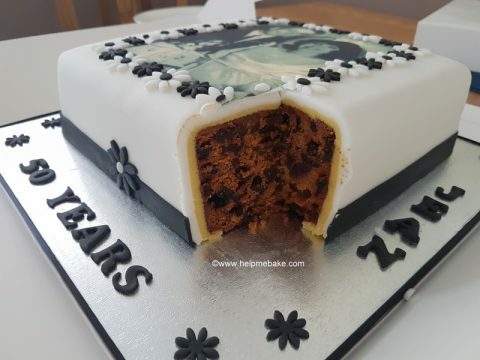 I then placed the picture on top of the cake to position it, and then lightly dampened the edges with water once I had the picture in place. Once the picture was in place I then set about using my daisy push cutters for the flowers and the cake star uppercase alphabet cutters to make the letters. 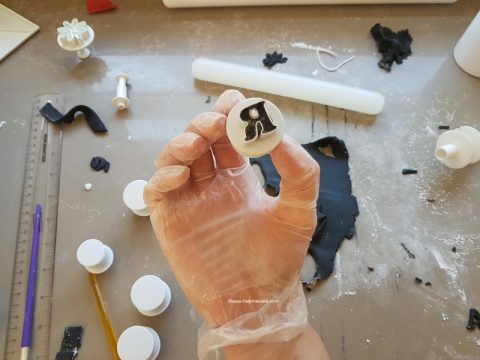 I found that the thicker the icing for the letter cutters the better the letters came out. 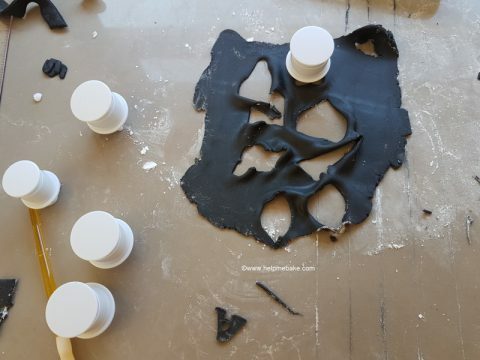 These were stuck to the board using the cooled boiled water from before and a paintbrush. To finish off I made a strip border for the base and placed a flower at the front where I’d torn the black icing. I then covered the silver board in black ribbon. 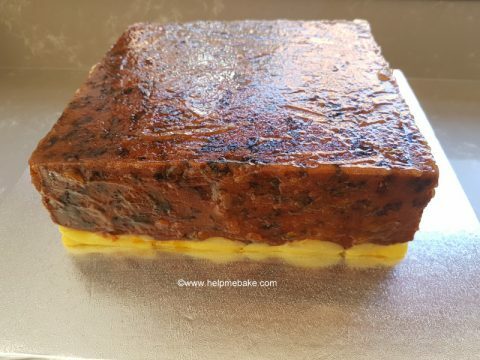 Once delivered the mother in law was absolutely thrilled with it and this time I actually managed to taste a piece of my hard earned work. 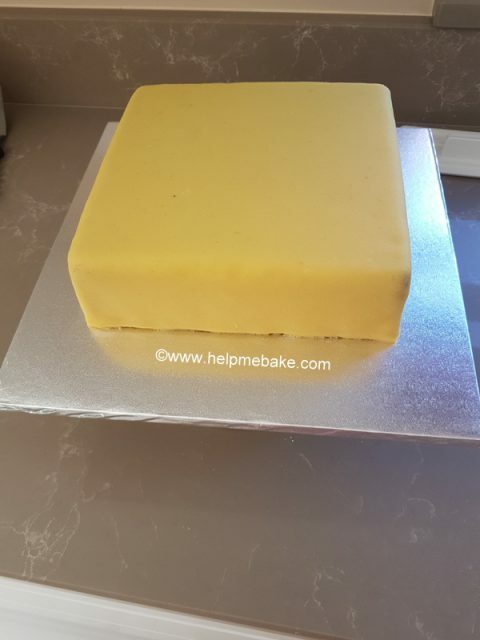 I kept with the black and white theme as gold elements didn’t really fit with the picture, however, if you were looking to do something similar then maybe you could place the cake on a gold board which would incorporate the gold element. 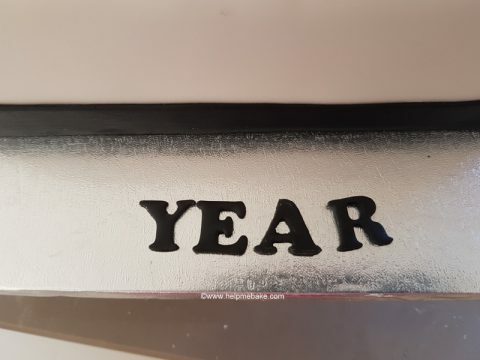 I only thought of this as I put the last piece of decoration onto the cake. Lol! That's all? WOW!! You da woman! Wow! 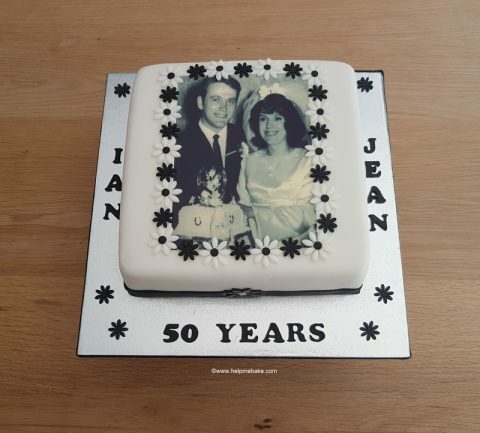 that is gorgeous and edible as well, you made a really good job of it, pleased that they loved it and congratulations from me to them for their anniversary. I'll tell them, thanks, Joan.